Holiday Park Kijkduin boasts a fabulous location directly behind the dunes on the North Sea beach. The four-star holiday village has a large variety of holiday homes, bungalows and camping places. The park is child-friendly with plenty of play gardens and a clearly visible toddler pool in the indoor swimming pool. It is also the perfect holiday resort for anyone who is looking for peace and nature. The beach at Kijkduin is quiet and clean with large swathes of dunes to walk or cycle through and during the summer months you will find a variety of laid-back beach clubs at South Beach, frequented primarily by locals. Moreover, the park is the perfect base for making trips to Scheveningen and the city centre of The Hague, both of which are less than a 30-minute bike ride. Roompot Holiday Park Kijkduin offers a wide variety of holiday homes from bungalows in a range of sizes to intimate wooden houses. The park also has camping places with delineation and some shade. Holiday Park Kijkduin offers a range of attractions for children: play gardens, sports fields and a clearly visible toddler pool in the indoor swimming pool. Guests who are looking to relax after a busy day can enjoy a solarium and Jacuzzi. The holiday park is also a short walk to the sea for swimming or surfing. The park has a small supermarket, a snack bar and a restaurant. The park has ample amenities to enjoy a wonderful long stay beside the sea! There is plenty to experience nearby Holiday Park Kijkduin. Firstly, you can visit the beach at Kijkduin to enjoy the sun, sea and nature. Enjoy walks through the extensive dune area or on the beach. Take a bike for a tour through Westland or cycle along the long-distance LF1 path to the Hoek van Holland and the Port of Rotterdam. Alternatively, have a kite surfing or surfing lesson on the beach at Kijkduin. The surrounding area is also home to sports complex De Uithof, where you can enjoy karting, skiing, snowboarding, skating and many more fun activities. Family resort Kijkduin provides ample opportunities for dining out throughout the entire year. From March/April to October the beach is filled with lovely beach clubs and in the winter months there is plenty of choice on the boulevard at Kijkduin. All year round you will find La Galleria, Hudson Grill and The Fish Club: plenty of delicious food to choose from and definitely something for everyone. Kijkduin is easy to reach using various transport options. From the motorway, exit Den Haag Zuid is a short distance from the resort. Kijkduin offers free parking everywhere, which makes the resort the perfect beach location to visit by car. The resort is also easy to reach by public transport: buses 23 and 24 travel to Kijkduin. To reach Holiday Park Kijkduin: drive down Machiel Vrijenhoeklaan and you will find the holiday park at the end of the road. Parking is free in the surrounding neighbourhood, but guests are also entitled to use the available parking places inside the park. Cyclists can follow the long-distance LF1 path from the Hoek van Holland or Scheveningen. 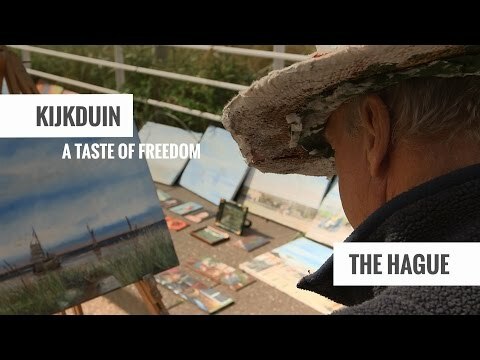 The trip takes you through the magnificent dunescape to Kijkduin!